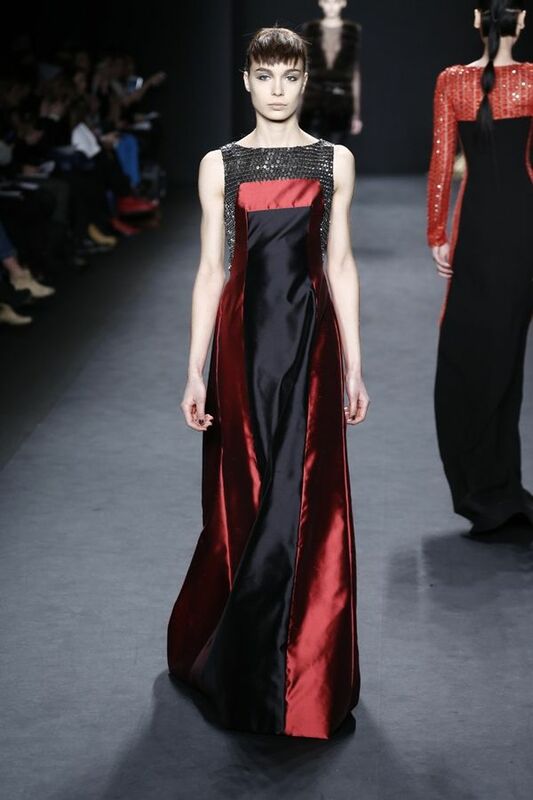 The dangerous, yet alluring femme fatale is a familiar muse in the fashion world and for New York Fashion Week, the Carmen Marc Valvo Fall 2014 collection brought modernity to medieval woman warriors. As a whole, the use of navy blues and blacks throughout the collection makes it quite dark and dramatic. However, it is punctuated by reds and shimmery silvers to break it up in some spots. Models during the runway show were quite covered up, with not a bare leg in sight. Aside from the long silhouettes, the collection’s medieval influences can be seen on breastplates with metallic detailing, belts, sheath dresses and the use of chain mail. Since evening wear is one of Carmen Marc Valvo’s specialties, it’s likely that some of these fierce dresses will be gracing the red carpets soon.